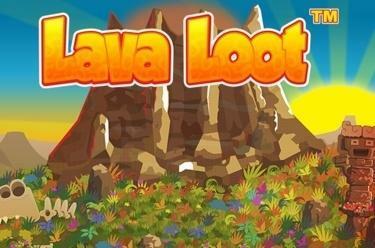 Play Lava Loot™ online for free now! Steaming pillars of smoke rise when our charming prehistoric couple is scanning the nearby reels for Twists with Lava Loot™. But even if the archaic landscape seems inhospitable and remote at first sight: As soon as the volcano has been made to erupt and the glowing Wild symbol is running along the reels, countless Twists will burst out of the ground! 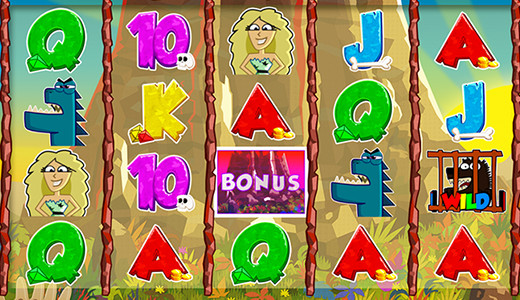 Your aim with this 5 reel slot: Land 5 matching symbols along a win line. Make sure that the symbols run from the first reel on the left to the right without interruption. 3 or more bonus symbols (Scatter) win 10 free games as well as the bubbling Lava-Loot-Bonus. Now the fire gets going and works from top to bottom as a Wild symbol: Lava symbols (Wild) can appear anywhere on reels 2, 3 and 4 to slide further down a row during the next free round. Lava symbols in the last row disappear with the next spin. The bonus symbols appear only on reels 1 and 5 during a free game. If 2 of them appear during a round you win 10 further free games. Our volcano is spitting even more fire with the Big-Wild-Bonus: This will be triggered randomly during a regular game round and lets a gigantic lava symbol run over the 3 middle reels after a mega eruption. The Lava symbol pays like a normal combination of a symbol and several Wilds after stopping.